There are few bands that have become more ingrained into the fabric of pop culture than the Beatles, and there are few urban myths about rock stars that have reached a similar saturation point than the classic “Paul is dead” theory—sorry, 27 club. Maybe it happened the first time you saw your parents’ copy of Abbey Road and either mom or dad explained the significance of Paul McCartney’s bare feet, or maybe it’s something you stumbled across on the internet. If you’re a bit younger, maybe this is even your first time hearing about it! Either way, it’s perhaps the most pervasive conspiracy theory regarding a celebrity out there, and it became something of a prototype for many similar rumors about secret cover-ups of celebrity deaths and disappearances. So how did the “Paul is dead” theory become such a cultural mainstay? The rumors emerged at a time when the Beatles were not only in the process of disbanding, but McCartney had largely been absent from public life, retreating with his wife and kids to a farm in Scotland. It began with a rumor that Paul had died in a car accident in 1966 or 1967. The story spread throughout London, and by 1969 it was down on paper in an article in Drake University’s student newspaper. It reached a point that by October 1969, the Beatles’ management was forced to respond. Their press officer acknowledged that he’d been asked about Paul’s well-being for years, but that the stories had recently reached a saturation point. Of course, even that simple acknowledgement further stoked the fire, and it became a talking point on rock radio stations on both sides of the Atlantic. While John Lennon referred to it as good publicity for the upcoming release of Abbey Road, Ringo Starr did bother to categorically deny that Paul was dead. The most notable aspect of the “Paul is dead” theory wasn’t Paul McCartney’s rumored death itself, per se. It’s more the many “signs” and secret messages to fans that purport to reveal the truth about Paul McCartney that make it fascinating. That said, the tale of his demise was nothing short of lurid. 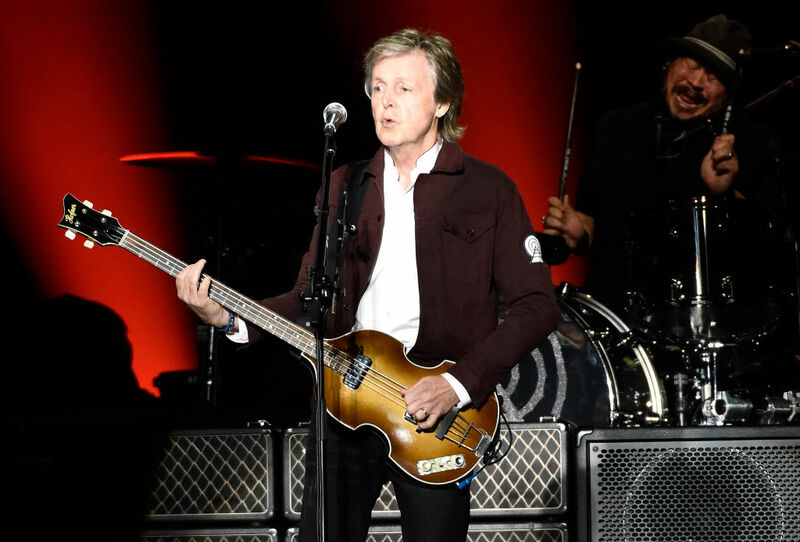 Some reports claimed that the crash happened in a period when the band were at odds with each other, and that McCartney had angrily driven off following a fight with them. Perhaps most sensational of all was the detail that McCartney actually had been decapitated (!) in the horrifying crash. 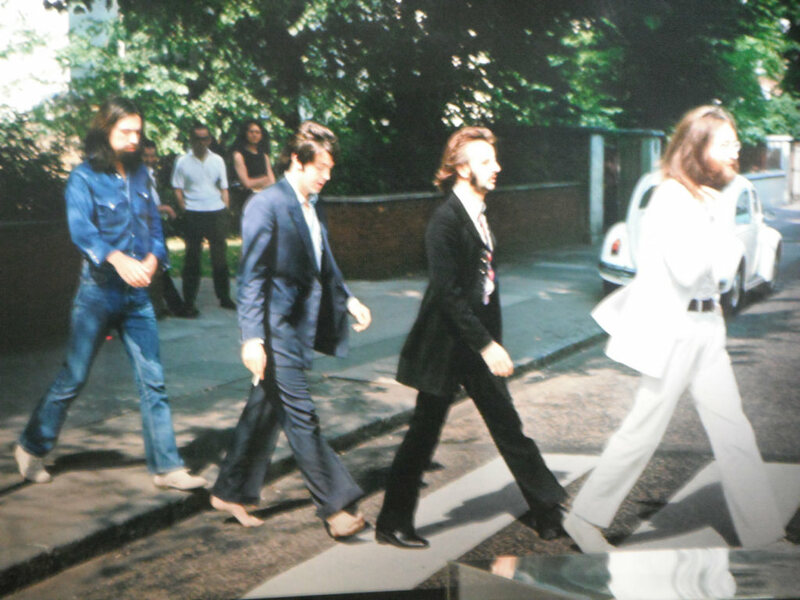 The album Abbey Road was released in September 1969, at a time when the “Paul is dead” rumors were circulating at a breakneck pace. It quickly became a focal point for the “experts” on the theory who were grasping for clues about the alleged conspiracy. People referred to the imagery on the album cover as a funeral procession, with each band member playing a role—Lennon as a deity, Starr as an undertaker, George Harrison as a gravedigger, and a barefooted McCartney playing the part of the corpse. The license plate of the Volkswagen Beetle in the background reads “28IF,” as in, McCartney would’ve been 28 at the time…“if” he was still alive. Anyone looking for clues would find them, precisely because they were looking. As Starr later claimed of that era, “…a DJ put all those signs together: Paul with no shoes [on the cover of Abbey Road]… and the Volkswagen Beetle. Then there was Magical Mystery Tour, where we three had red roses and he had a black one. It was just madness … There was no way we could prove he was alive.” Each time a member of the band or of their management team protested, the rumors would only intensify. At a time in his life where McCartney was attempting to remain private and low-key after dealing with a half-decade of Beatlemania, he was suddenly forced into the spotlight again, with reporters and photographers showing up unannounced to his rural farm. Although understandably displeased at the time, he later made light of that period in his life with his solo live album Paul Is Live in 1993. A clear line can be traced between the assassination of John F. Kennedy in 1963 and the purported coverup of McCartney’s “death” a few years later. JFK’s assassination became inextricably linked to the conspiracy theories about it that rose up in the aftermath, and this undoubtedly influenced the long trail of conspiracy theories about McCartney. Although the media’s focus on the rumors died down after Paul confronted them head-on with a series of interviews and photos in late 1969, the conspiracy theory was still passed around and continued to grow as the years passed by. 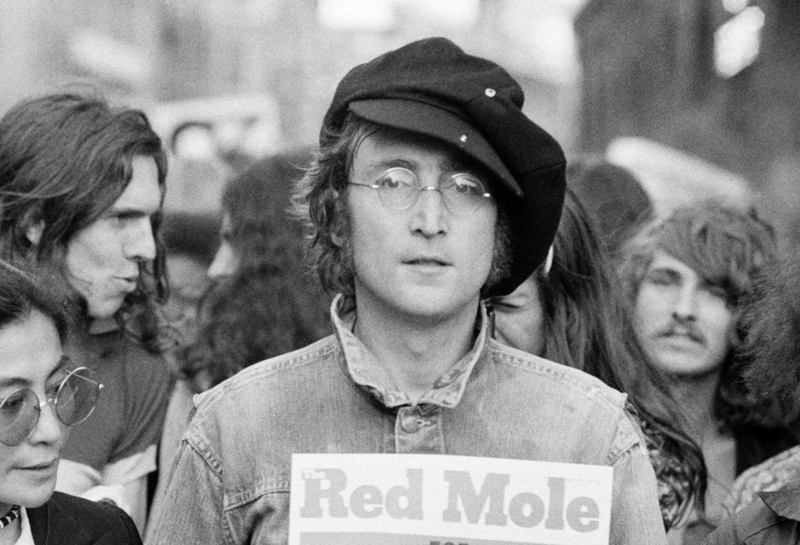 When John Lennon was killed in 1980, proponents of the “Paul is dead” theory were quick to make connections and draw conclusions about the crime, and the same thing happened again when George Harrison was attacked in 1999. Surely, when McCartney does kick the bucket (hopefully peacefully, at home, at a very old age), there will be those who read too deeply into the circumstances, who demand DNA tests, and who simply won’t let it be. In the same way that the Beatles had allegedly conspired to replace Paul with a lookalike to keep their juggernaut of a career going and to prevent fans from the sheer heartbreak of it all, rumors began to circulate that alt-pop star Avril Lavigne had died and that her record company, not willing to give up their cash cow, had replaced her with a doppelganger of her own. As the story goes, in 2003, Lavigne had been distraught over the death of her grandfather and had taken her own life. Her replacement was a girl who had previously been hired by her record company to divert the paparazzi from Lavigne’s real whereabouts, and who was brought in upon the real Lavigne’s death to replace her. Much as the Beatles apparently littered their catalogue with references to their deceased bandmate, the new Lavigne sent secret messages to fans through song lyrics on her sophomore album Under My Skin. Easy to see how fans could get wrapped up, right? Well, while it may have made for a compelling story, the 2011 blog that started it all actually revealed that it was meant to illustrate just how easy it is to take something and twist it to make it look like it’s part of a conspiracy theory. Despite this, the story pops back up every few years, with people adding their own twists to the body of “evidence.” Any effort to point out the fact that it’s a hoax simply seems to draw more attention to the theory itself. As far as pervasive urban myths about musicians go, the “27 club” is interesting too, sure, but plenty of rock stars undoubtedly also die at 26 or 28. The far-fetched story about the death of a star in his prime and subsequent cover-up is so compelling that it’s become an indelible part of the idea of a rock star—and so different iterations have popped up along the way. In 2001, a rock prodigy by the name of Andrew W.K. burst onto the scene with the combination of a breakout album, a string of upbeat hits, and a persona unlike any other. As the attention from his first major album and tour died down, bizarre rumors began to circulate that he’d been “replaced” in 2005. As with the “Paul is dead” theory, the deeper you dive, the more convoluted it gets, and similarly, any attempts on the part of Andrew W.K. to dispute it simply end up serving as evidence for those championing the theory—especially since his denials were often quite bizarre. While there’s no death of the central figure in this version, there is a mysterious force behind it: a figure by the name of Steev Mike—a name coincidentally cited as executive producer on W.K.’s hit album I Get Wet. In one version of the tale, no less a figure than Dave Grohl is the one orchestrating it all. The history and psychology of rock music is inextricably tied to a quest for authenticity. Although it may now be decades since any type of rock music has been seen as “dangerous,” the genre has continuously doubled down on fashioning itself as the sound of rebellion, even as it props up an industry run by ostensibly greedy corporations made up of ostensibly greedy executives. And therein lies the appeal of these conspiracy theories: they work to keep separate the realms of art and commerce, encasing the artist in amber at their most authentic moment. They simultaneously reinforce the fans’ belief in the musician’s artistic integrity and their suspicion of the nefarious forces behind him or her (the very ones who would work to bring in the impostor). Moreover, the persistent belief in these conspiracy theories can even act as a coping mechanism for vigilant fans who watch as their favorite artists age and their musical styles mature—think of Kathy Bates’ character in Misery struggling to cope with the idea that her favorite author wants to break away from his previous work and kill off her beloved character, except, uh, way less sinister. Either way, as long as there exists tension between the demands of commerce and the ideal of artistic authenticity, this is the type of story that’s bound to pop up again and again, whether it’s about the names we’re already familiar with, or attached to a completely new star.